Why would I seek out the Der Zor desert — the most infamous of the killing fields in the premeditated extermination of the Armenian people carried out by the Turkish government beginning in 1915? Most of my extended kin did not survive the darkest period in our people’s history, 1915 to 1923. My four grandparents survived the ordeals, but lost virtually everyone else, or, in some cases, their entire clan. All but one grandparent lost their spouses, yet managed to remarry and raise second families in the United States. My parents, born and raised in the safety of America, were products of those second marriages. My brother and I followed, brought up in a home where Armenian was spoken almost exclusively. Recognizing the value of what had been lost, our three generations vigilantly practiced Armenian customs passed down from our ancestors. In exile, we retained a love for the natural beauty of our ancient native land of Western Armenia, and longed for that land, even as it lay within the borders of present-day Turkey. How could I let our departed ancestors know that they had not been forgotten and were, in fact, with us in spirit every day? How could I feel closer to them and identify with what they had gone through as they were driven — barefoot and stripped naked, starving and fearful — along wild mountain ranges, all the way to a desolate place where, if they were still breathing, the Turks intended them to die agonizing deaths? How could I let my forebears know that — as I recalled those Armenians whose tongues and teeth were torn out and feet cut off — that we, the grandchildren of survivors, 95 years later, freely and mindfully used our tongues to speak our native language, our voices to sing the folk songs of our elders, and our feet to perform the dances of our native villages? How could I let our ancestors know that the Armenian soul and our dreams of liberty, even in exile, did not die with them? When I learned that a pilgrimage was being organized to visit the site, formerly in the Ottoman Turkish Empire, where caravans of Armenians were driven to oblivion, a voice inside said that it was time for me to walk in the footsteps of those who perished in or miraculously survived what is now the northern Syrian desert of Der Zor. 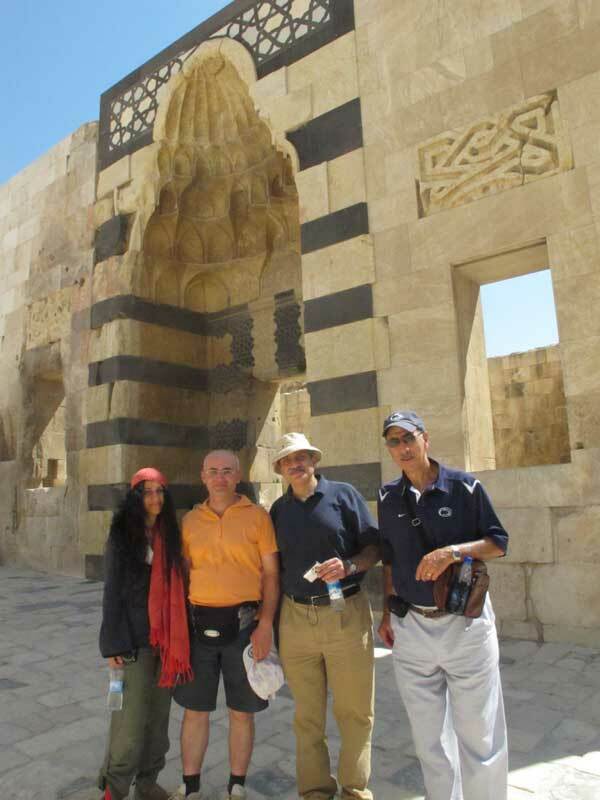 So I joined other Armenian Americans, led by Vicar General Anoushavan Tanielian and Deacon Shant Kazanjian of the Armenian Prelacy in New York to visit people and places in Lebanon and Syria that were spiritually, historically, and culturally significant to the Armenian nation. As we were landing at Beirut’s Rafik Hariri Airport, the clusters of beige stone houses rising out of the hillsides reminded me of our Western Armenian towns such as Kharpert — less than 650 kilometers away in eastern Turkey — before their destruction. These Lebanese hill dwellings transported me to a place that before this voyage had existed for me only in historical photographs of Western Armenia and in the recesses of my mind. What exactly is Western Armenia? Armenia can be thought of as having two parts: the eastern part, represented today by the Republic of Armenia and Artsakh/Karabakh; and Western Armenia, consisting of the eastern portion of Turkey as well as the northwest corner of the Mediterranean (known as Cilician Armenia), also occupied by Turkey. During the Genocide, Turkey liquidated the Armenians of Western Armenia and attempted to do the same to the Republic of Armenia. 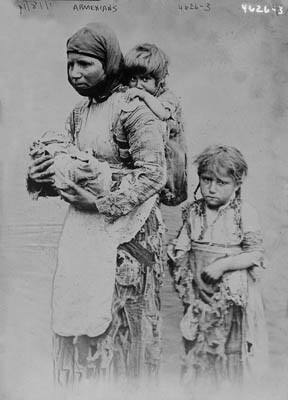 The descendants of the survivors of the Genocide are often referred to as “Western Armenians.” Most live in diasporan Armenian communities, though large numbers of them also reside in the Republic of Armenia. As we journeyed about Lebanon to Armenian neighborhoods, community centers and churches, all of which retained a distinct Armenian character despite the passage of time, we seemed to be traveling in a virtual labyrinth, spiraling inward, closer and closer to Der Zor. We were not only homing in on where the unspeakable occurred. In visiting vibrant Armenian communities along the way, some of them settlements that existed long before the trials of Der Zor, we were also drawing closer to the native lands of the Armenians — and my body instinctively knew it. It was as if everything about these territories — particularly later in Syria — had been seen, touched, tasted and lived on by the ancient lifeblood within me. Inside the Cilicia Museum in Antelias — a district of Beirut — we saw rare clerical vestments, chalices, relics and documents rescued from churches in Western Armenia. Most of these treasures were brought to Lebanon through great personal sacrifices and under difficult circumstances during and after the Genocide. These treasures — including meticulously embroidered burgundy velvet vestments and carnelian, garnet and ruby-encrusted relics — seemed to embody a style that I had long embraced as my own. These engraved silver belts, crosses and prized possessions revealed a decorative flair, refinement, craftsmanship and love of animals and nature that I had always instinctively sensed as being “Armenian.” The timeless style of these treasures spoke to my tastes. It occurred to me that these designs were not just my personal preferences but emblematic of a national character belonging to our people and somehow genetically ingrained in me. In such surroundings, I did what came naturally — speaking with my fellow travelers, as well as Armenians we met, almost exclusively in the Western Armenian dialect. It was our mother tongue and common language, even if speaking it is becoming less frequent in America’s melting pot. Our group spent an afternoon in Bourj Hammoud, a suburb of Beirut with a sizable Armenian population. In the years following the Genocide, survivors from Der Zor who plod into Lebanon were permitted to build shacks in what was then swampland. Today, Bourj Hammoud is one of the most densely populated districts in the Middle East. It teems with barbers, cobblers, and sellers of food, clothing, music, books and souvenirs — nearly all of them Armenians. Here we found Armenian churches, compatriotic, athletic and cultural organizations, meeting halls, and the offices of local Armenian newspapers and radio stations. During the Lebanese Civil War, the Armenian community remained neutral. As a result, parts of Bourj Hammoud — now mostly repaired — endured repeated shelling by those who resented that neutrality. For those who live in “BH,” as it is known for short, it is natural to hear the Armenian language spoken in the streets and Armenian music playing outside. For Armenians visiting from anywhere except Armenia (or, perhaps, Glendale, California), it’s an astonishing experience. Storefront signs appear in Arabic, Armenian, and English or French. Streets are named for cities in Western Armenia such as Adana, Marash and Sis. Perhaps most amusing to an outsider are the scads of identically dressed young Armenian men in their designer t-shirts, jeans, dark sunglasses and five-o’clock-shadows, weaving through thick traffic on their motorbikes. As our tour bus ambled along a highway en route to Aleppo, I recognized the tree before me: the slender perennial that is depicted in paintings that hang in Armenian homes throughout the world. In these paintings, two of these trees grow upright in the foreground of the twin peaks of Mt. Ararat — the universal symbol of Armenia, even if the mountain today happens to be within the boundaries of Turkey. This tree is the Mediterranean Cypress, planted centuries ago by conquering Romans extending their empire. I could not help but conjure Armenia in my mind upon seeing thousands of these trees in our travels. There was something unmistakably familiar about the northwestern Syrian city of “Haleb,” as Armenians call Aleppo: The dense and vibrant Armenian-speaking neighborhoods; the Armenian churches constructed in our traditional architectural style; the narrow, winding, cavernous cobblestone streets; structural motifs that were decidedly “Orientalist;” stone houses that were at once ancient and environmentally conscious; the arid climate; the fruit, nut and olive orchards; the camels, donkeys and bazaar merchants — all these things had an air of familiarity. The absence of over-industrialization which allowed the natural beauty of the terrain to shine through and the lack of blatant consumerism and pop culture were just a few more reasons why Haleb in particular seemed much more native to me than New Jersey or Boston do. And it’s no wonder. The very first Armenian presence in Haleb dates back to the 1st century BC, when Armenia’s King Dikran I subjugated Syria and chose Antioch (later a chief center of early Christianity) as one of his four capital cities. After 301 AD, when Christianity became the official state religion of Armenia, Haleb developed into an important center for Armenian pilgrims on their way to Jerusalem. And in the 12th century, when the boundaries of the Armenian Kingdom of Cilicia were not far from Haleb, Armenian families and merchants settled there in large numbers and established their own businesses, residences, schools and churches. I was, in a very literal sense, hitting close to home. My eyes grew wide as we were led into the center of the Old City to one of the oldest and largest castles in the world: the extraordinary, towering Citadel of Aleppo. As it turns out, stone inscriptions in this medieval fortified palace tell us in Greek that Armenia’s King Dikran captured it when he took Haleb. It was often the case that when people heard someone in our group speaking Armenian they would approach us to simply say welcome. This time, it was a tourist from Barcelona inside the Citadel who had come to visit his Syrian relatives. Recognizing our vernacular, he wanted us to know how proud he was that his grandfather had hidden and protected Armenians during the Genocide. As we expressed our gratitude for his grandfather’s righteous deeds, he posed for a photo with members of our group. It is said that some of the underground passageways built under the gigantic moat surrounding the Citadel lead to the 40 Martyrs Armenian Cathedral more than a kilometer away. It was upon visiting this hauntingly beautiful 15th century Cathedral that I witnessed a most inspiring scene. During the Divine Liturgy of the Armenian Church, it is customary for the Nicene Creed, also known as “Havadamk,” or “We believe,” to be recited as an Armenian declaration of belief in Christ’s single nature with human and divine attributes. Here in the Cathedral, hundreds of worshipers attending mass at the height of summer joined the clergy to recite — in Armenian, of course — this credo in perfect, melodic unison. Chills went down my arms as I remained mute to appreciate the sacred feeling of communal and spiritual oneness that permeated the room. Thus did the echoes of Armenia continue to embrace us. The Armenian presence in the Kessab region of Syria (about 100 kilometers west of Haleb) predates Christ. Here in Kessab’s village of Kaladouran, the air, the soil, the foliage, the homes, the people and their traditions are Armenian to the core. The Armenians of Kessab, a coniferous forested region that faces the Mediterranean Sea, had endured centuries of persecutions and Turkish attacks. Those unable to resist were death-marched to Der Zor in 1915. In the post-World War I era, Kessab endured further attacks from Turkey. In 1939, Turkey unjustly annexed part of Kessab’s Cassius Mountain range. This included the Barlum Armenian Monastery, farms, fields, properties, laurel tree forests and grazing lands that belonged to the native Armenians.Locals say that in the annexation Turkey managed to capture enough land to ensure that it possessed the pristine, sandy beaches surrounding the Kessab region and not the rocky ones, which were left to Syria. It was only through the efforts and perseverance of the Armenian Catholic Patriarch of Cilicia Cardinal Krikor Aghajanian and Remi Leprert, the Papal representative in Syria and Lebanon, that Kessab remained under Syrian jurisdiction. From Kessab, Turkey is a mere 3 kilometers to the north, and Musa Dagh 50 kilometers further. A bright spot in the annals of Armenian history is that a vibrant, Western Armenian way of life, and Kessab’s unique Armenian dialect, still thrive in this coastal town and surrounding villages. Let us rejoice that Armenians freely live and prosper in a remnant of the majestic lands of the Armenian Cilician Kingdom. Seeing magnificent Kessab again was a homecoming. Twenty years ago as a college graduation present, I was permitted to come to Kessab to rebuild the then nearly vanished Sourp Stepanos chapel with the organization named Yergir yev Mushagouyt (Land and Culture). Today, as I stepped out of our group’s van, entered the finished sanctuary and marveled at its rustic beauty, I knelt down, prayed, and then kissed the beams of the chapel, grateful to witness a miracle: a restored piece of Western Armenia that others and I had in some small way helped to make a reality. As we circled closer and closer to Der Zor, and with each community we visited, we went deeper and deeper into the Armenian consciousness. In mid-August, we reached the epicenter — to which countless thousands of uprooted Armenians had been driven to their deaths. 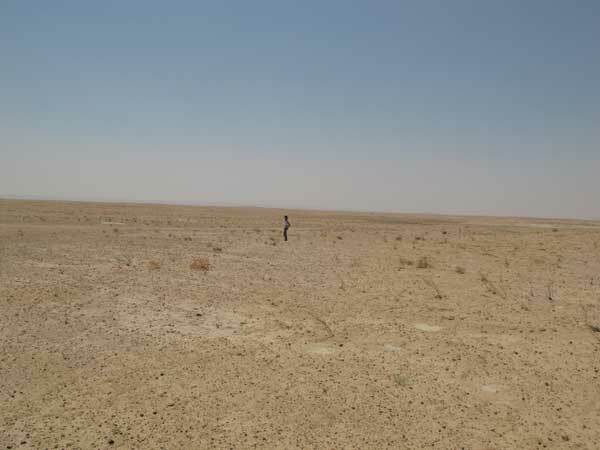 I stood on Der Zor’s blanched desert sands with nothing visible around us. Every fact and figure I had read, learned and memorized about the Armenian Genocide seemed to vanish. I could think only of the bleakness, the barrenness, the blinding sun and searing heat of August — and how sentient beings had been deliberately herded to this inferno of nothingness to suffer and expire. As I stood apart from the group, the atmosphere held a transcendent significance. We had been given the rare opportunity to viscerally sense the thirst, hunger and agony that our martyrs and survivors had endured. The reverence I had for the tormented souls who had their final release here left me oblivious to physical discomforts in the present. In fact, we arrived just two days shy of the 95th year of British statesman Viscount Bryce’s reporting that caravans of Armenians started to arrive in Der Zor. Many voyagers in the modern day have scratched and sifted the surface of Der Zor and found the skulls and bones of the murdered Armenians. Today, the land is still bare and unoccupied on the surface, and misery seems to cling to the dry, hot air. I thought about how the beaten bodies of our ancestors found eternal respite here, even if their spirits did not. I stared at the sand and, through my tears, quietly sang “Hahnk-jeh-tsek,” or “May You Rest,” an Armenian repose of the souls. Turkey continues to claim that it had merely “relocated” Armenians to Der Zor. Yet who could survive in this abysmal place? Relocation meant death, just as Turkey intended. Before we scrambled back on the bus, I collected sand and tumbleweed so that my contemporaries back in America could recall Der Zor in a tangible way. Could these local boys, the eldest of whom were just teenagers, have known the significance of what they were doing? Or was it just a coincidence? To their families and the local authorities’ great regret, several youths had in recent years died from making such colossal leaps. Were these feats somehow intended to honor our dead or were they just youthful bravado? I was too unsettled by what we were witnessing at the time to ask more than a handful of people, who did not know. To somehow mitigate my heartache over what I had seen, I walked further along the bridge, my arms clinging to my torso for solace. As I leaned over to peer through my tears at the River below, some postcards of rescued Armenian treasures from Cilicia fell from my diary and sailed down the Euphrates. At the time, I felt I had unwittingly littered the River. But later, it occurred to me that the postcards may have had a mind of their own and sought to trail after and comfort the souls who had not been saved. There is a saying that the Euphrates looks clear and bright to everyone but Armenians who, when they gaze upon it, see only murky greens and browns. As an Armenian who has now been there, I can vouch for that saying. Even so, I suppose I should feel grateful that the Euphrates did not appear to run red from the blood of murdered innocents flung there during our ordeals. It was only much later that my thoughts turned to personal connections to Der Zor: as a young girl my maternal grandmother Armaveni buried her own mother in those sands. And my paternal grandmother Lucia helplessly watched her two infant daughters perish in this wasteland. In the days that followed our pilgrimage, I gradually collected my thoughts about all we had seen. I recognized that the Armenia of our ancestors was present all around us in the Levant. Two of the regions we visited in Syria — Kessab and Haleb — are long established, ancient Armenian communities. Lebanon’s Anjar and Bourj Hammoud are communities established in the early 20th century, though there have been Armenians who have lived in those regions for centuries. On the deepest level, puzzle pieces of a dismantled Western Armenia were staring back at us: In Anjar, I found the soul: the Armenian struggle for survival and dignity. In Haleb and Bourj Hammoud, I found the spirit: the lively, vibrant Armenian community. In Kessab, I found the body: Our homelands. And in Der Zor, I found the core: The tormented remains of our ancestors. Many pilgrimage sites contain shrines where miracles are said to have occurred. If someone asked me what miracles I observed, I would first say that it is nothing short of a miracle that any Armenian survived the death marches into Der Zor. The second miracle was the existence of Armenian outposts in Lebanon and Syria where the Western Armenian culture, practically extinguished, persists. Bearing witness inspired me to rededicate myself to the Armenian struggle for justice. And it is my hope that by 2015 — the 100th anniversary of the Armenian Genocide — every Armenian who has not yet gone will make the pilgrimage to Der Zor. We pilgrims owe a debt of gratitude to the people of Lebanon and Syria, who welcomed us this summer. Their governments were notified of and approved our pilgrimage. They permitted us to freely travel to sacred Christian sites and to worship and commemorate as we chose. We had full access to our own churches and community centers, which are in Armenian possession. These same nations took in refugee Armenians at the time of the Genocide, 95 years ago. Then, our exiles were permitted many rights that had been denied to them in their own native lands: to safely identify themselves as Armenians, freely speak their native language, practice their customs, honor their dead, earn a living, and build homes, schools and churches. What can we expect now that Turkey has organized an alleged pilgrimage for Armenians around the world, to occur on September 19? A one-day religious service will be permitted at the newly renovated 10th century Armenian Holy Cross Church on Aghtamar Island in the Van region of present-day Turkey. To promote its image of being tolerant of its minorities, Turkey has recently reopened this church as an income-generating secular museum and tourist attraction. As evidence of its alleged intention to “reconcile” with its genocidal past, and instead of providing restorative justice, Turkey has made known that Armenians must, in effect, pay for visitation rights to Aghtamar’s appropriated church on appropriated land. The exquisite Holy Cross Church, studded with bas-relief sculptures of biblical scenes, was confiscated when Van was emptied of its Armenians during the Genocide. In the years that followed, the Church’s exterior became riddled with bullet holes made by local gun-toting Turks. 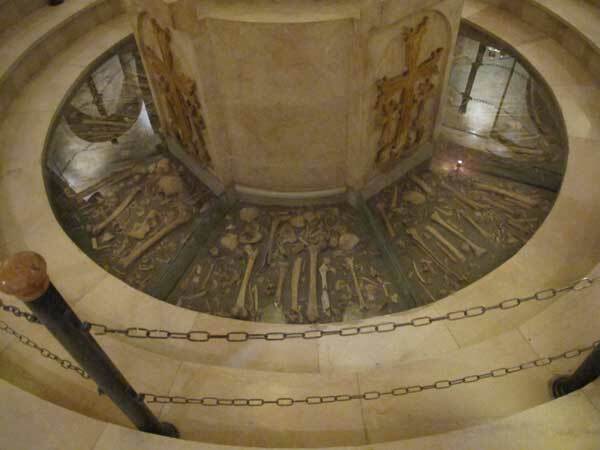 Left to rot, Holy Cross had somehow escaped total eradication or conversion to mosques or animal stables like most other Armenian churches in Turkey. Unlike our recent pilgrimage to Der Zor and the Armenian churches along the way, this “pilgrimage” the Turks arranged for the Armenians to our captive Aghtamar insults the entire Armenian nation, not just those Armenians that Turkey itself victimized and dispossessed. And so our struggle continues. My mountains, mountains, mountains of my fatherland. Like sheep descending into a valley. Now I wish to be in your midst. To again embrace you, mountains of my fatherland. Emerald mountains, I left my heart with you. And instead took with me the fragrance of your rose. “Der Zor Diary: A Pilgrimage to the Killing Fields of the Armenian Genocide” was originally published in Foreign Policy Journal, September 2010. Republished with permission of the author. Lucine Kasbarian is a second-generation American-born Armenian writer and political cartoonist. She is the author of “Armenia: A Rugged Land, an Enduring People” (Dillon Press/Simon & Schuster). An Armenian folk tale retold by her, “The Greedy Sparrow: An Armenian Tale,” was produced in 2011 by Marshall Cavendish publishers. They had to destroy the archives just in case, JUST IN CASE, anything found therein could expose them. They are formulating their own prophecy using deception. An informative read for someone like me who has no history or knowledge but a common thread. A strong believer of Christian faith. Is it that belief for which they were killed? I’m in need of more history to understand how it all started. I came across this article because Deir ez-Zur was the closest city to the coordinance numbers on the map. I was simply curious if I took the numerically value of “the Way, life of faith following Christ” and put them into longitude and latitude where would it fall on a map. I now want to learn more about a piece of history I knew nothing about before. How horrible. I was expecting a beautiful place like a garden of Eden. Not such desolation and destruction of people. Heartbreaking.